From now until February 14th, we will be making enhancements and implementing necessary upgrades to our site and mobile app, which will make our platform even better in 2016. If you have any requested enhancements or other suggestions, please don’t hesitate to email us at inquiries@realitysportsonline.com. Your feedback will help us make the site better for you in 2016 and beyond. Additionally, we will be rolling-over existing leagues from the 2015 season to the 2015-16 RSO off-season during this period. 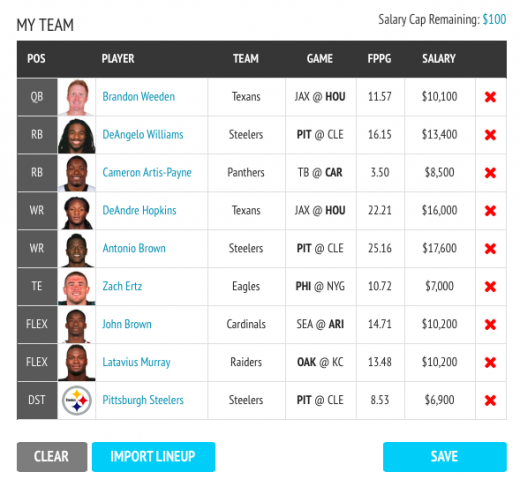 While you will be able to access and view your league during this period, lineups will be locked and no transactions will be able to be made. The week of February 14, 2016 is the expected official start of the 2015-16 RSO off-season. Last season, the NFL announced the 2015 salary cap in late February, and we expect them to do so again this year around the same time. The 2016 NFL salary cap is expected to be anywhere from $150 mm to $153.4 mm. 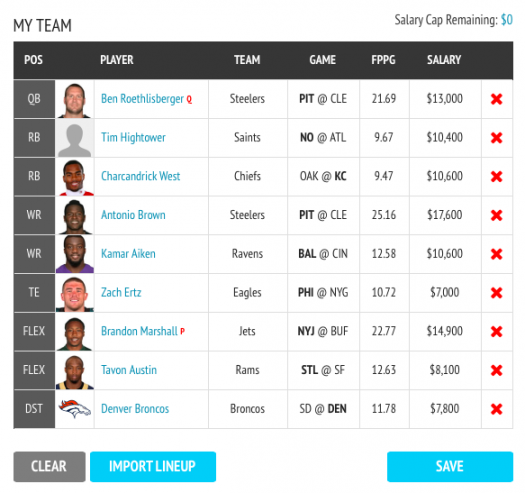 We expect to open the site before the NFL announces the 2016 salary cap, so we will leave the cap at the 2015 level until the NFL announces the new salary cap for 2016. However, once the site is re-open, existing leagues will be able to commence the RSO off-season, meaning teams can make off-season trades and cuts. Additionally, new league creation will be available at this time. These are the dates of the actual NFL Draft. Once the NFL Draft is completed, leagues will be able to conduct their RSO Rookie Drafts and Free Agent Auctions. 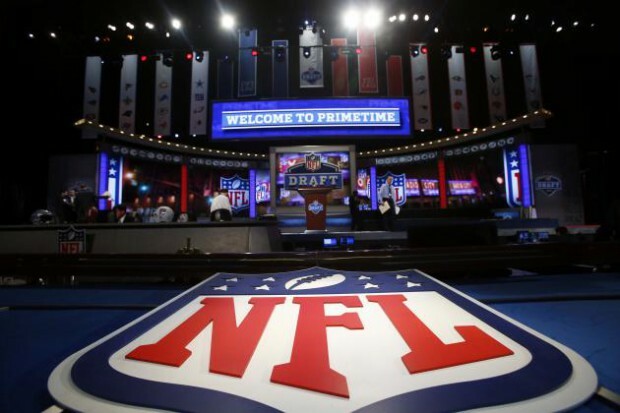 The NFL Draft is set to end on Saturday, April 30th, 2016, and we expect to have all rookie information updated on the site by Monday, May 2nd, 2016. Different for every league depending on the date set for your 2016 RSO Rookie Draft, this is the “franchise tag designation period”. 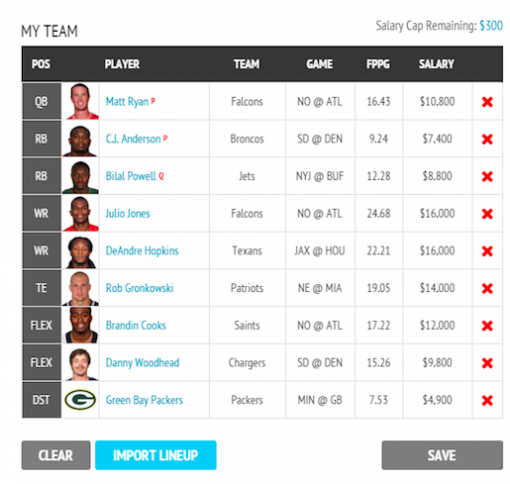 During this period, team owners must decide whether to place a franchise tag on a player whose contract expired in 2015 (the tagged salary for each player can be found by clicking the “Tag” button on the Team-Contracts tab). At the end of this period, players on expiring contracts will be removed from your Team Roster (unless you franchise tag a player). Additionally, at the conclusion of this period, team owners must have enough salary cap space to fill their respective rosters through the Rookie Draft and Free Agency in order to avoid having players automatically dropped from their rosters to create cap space. 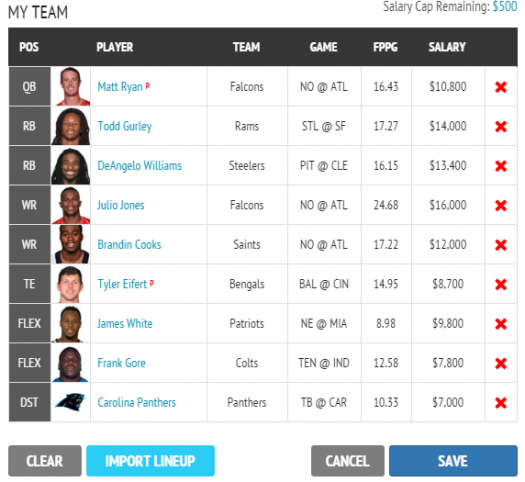 A Salary Cap Health Overview feature located on the Team-Overview tab contains all the information team owners need to ensure they have enough salary cap space. Note: no trades will be allowed during the three-day period between the end of the franchise tag designation period and your 2016 Rookie Draft. Trading will resume after the conclusion of your Rookie Draft. This period is the official duration of the RSO off-season for each league. The length of the off-season is important because of the rules surrounding off-season vs. in-season cuts. This is best explained by example. Assume you have Marshawn Lynch under contract for $15mm in 2016 and $18mm in 2017. If you cut Beast Mode during the 2015-16 off-season (i.e. up and until 3 days before your Free Agent Auction), you will only owe him $7.5mm in 2016 and then $9mm in 2017. If you wait until the off-season concludes before cutting Lynch, you will owe him his full $15mm in 2016 in addition to the $9mm in 2017. Therefore, it is important to assess your roster and make desired cuts before your off-season concludes three days before your league’s 2016 Free Agent Auction. Likely first NFL game of the 2016 season. It will be here before you know it! English with the sweep going 11-5 and putting up a strong FantasyDraft performance. Final week of the regular season and the staff’s season-long contest! RSO has truly enjoyed partnering this season with FantasyDraft, the official daily fantasy partner of Reality Sports Online. There will not be any RSO Contests for Week 17, but there are several great contests that you can join, including the (1) $20 Run & Gun, (2) the $5 Wishbone (the RSO Staffers will be partaking in this one), (3) an NFL Survivor Contest starting this week, or (4) for those of you who need some multi-sport action, an NFL/NBA Survivor Contest. 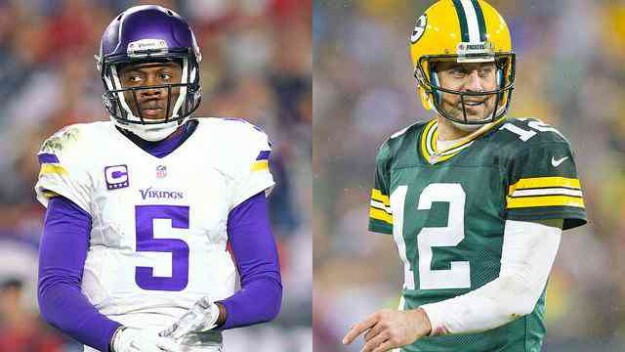 You are currently browsing the Reality Sports Online blog archives for January, 2016.